I took the photographs below at an old 1920’s house in Nuneaton where the owner was interested in restoring the original Quarry tiled floor in their Kitchen. Interestingly Nuneaton has a rich manufacturing history that included brick and tile making so it’s entirely possible these tiles were made locally at the Haunchwood Brick and Tile company. Tastes change over the years and at some point in the past the Quarry tiles had been covered with a levelling compound so that linoleum could be installed on top. This meant that the first part of the job would be to remove the screed before I could clean up the tiles. On top of that It was clear as well that many of the tiles were damaged and would need replacing. I worked out a quote which was agreed by the customer and started looking around for matching replacement tiles, fortunately I was able to track some down at Warwick Reclamation who stock thousands of quarry tiles in many of the common period sizes. 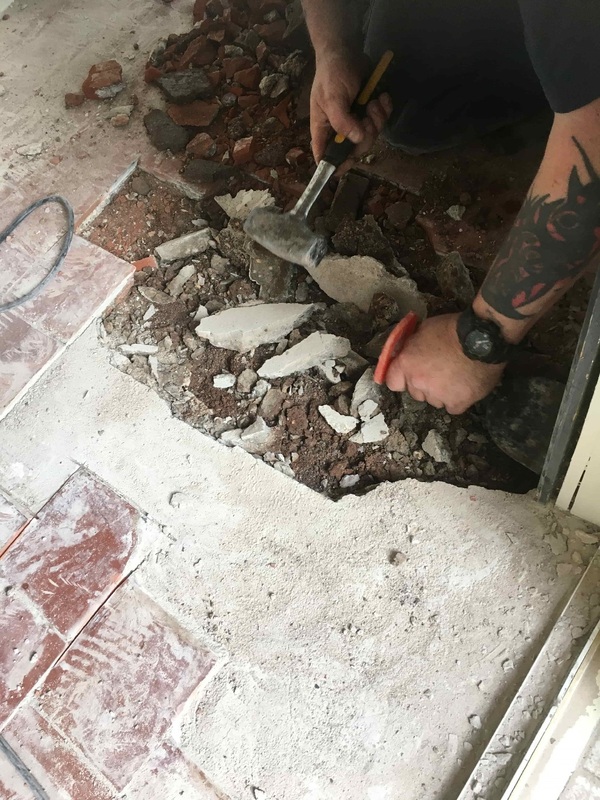 On day one I set about carefully removing the screed with a hammer and chisel and also the damaged tiles, so they could be replaced. With the tiles removed we it was clear some parts of the subfloor were cracked and needed to be rebuild with fresh cement. 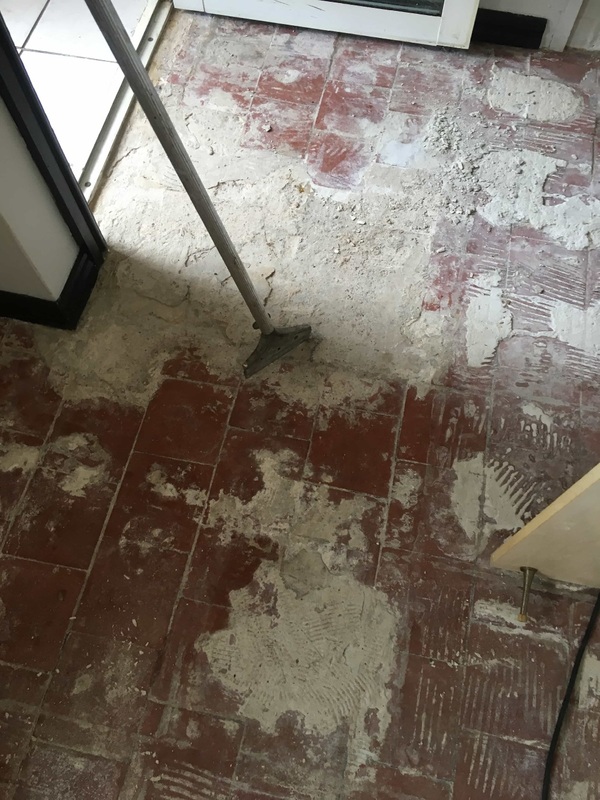 Once the floor was ready the replacement Quarry tiles were fixed in place and once the adhesive was dry they were grouted in. To remove the remaining screed and salt damage from the surface of the tiles I used a set of coarse milling pads which are applied with water for lubrication. The process generates a lot of soil, so the floor needs to be rinsed with water and the soil extracted with a wet vacuum after each pad. 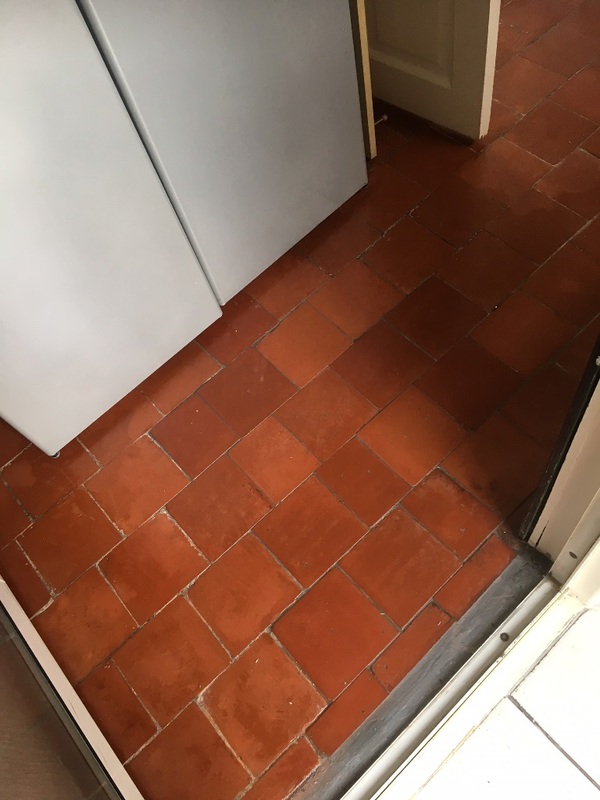 The next step was to pre-treat the tiles with Tile Doctor Remove and Go in order to remove old contaminants such as old oils and then treat the floor to a deep clean with Tile Doctor Pro-Clean which was scrubbed in with black scrubbing pad. 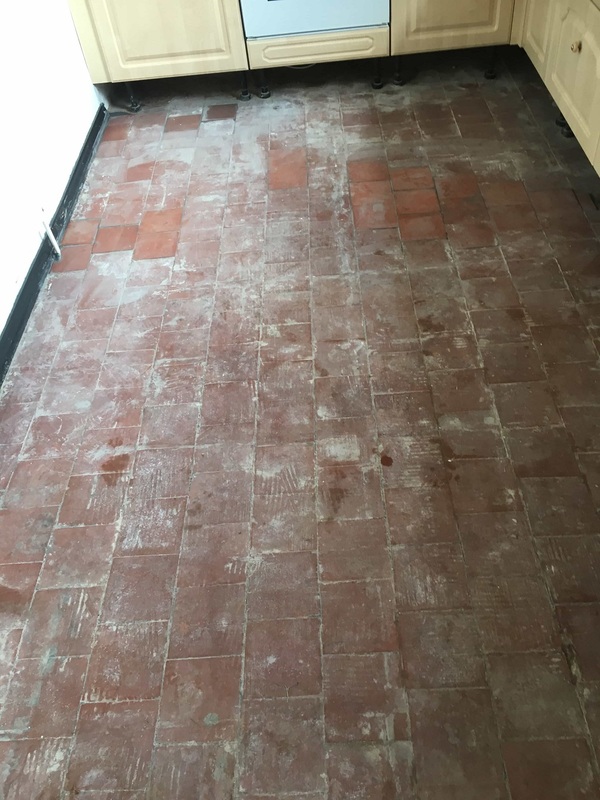 Old floors like these don’t have a damp proof membrane so the last step in the restoration process was to counter any inherent salt issues in the floor that might reappear later as white efflorescence salt deposits. 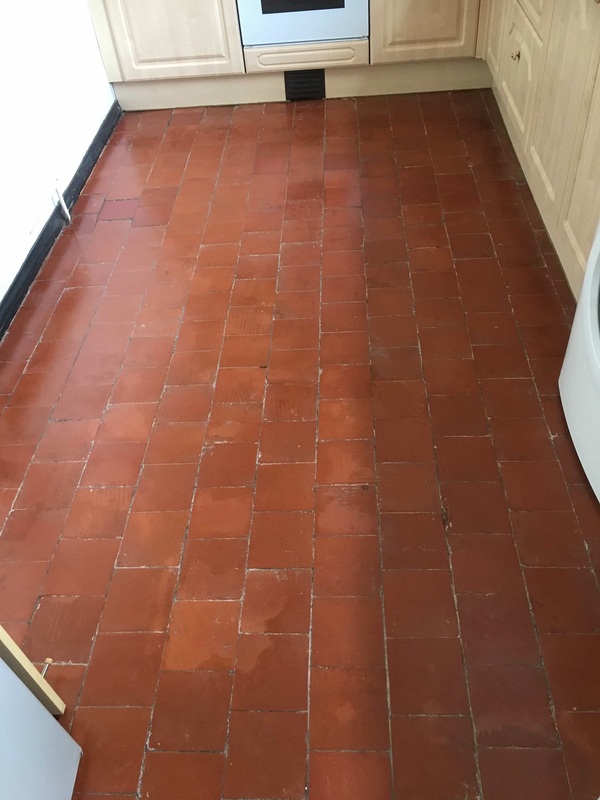 This is done by giving the floor an acid rinse using Tile Doctor Grout Clean-up which is scrubbed into the tiles, neutralising the salts, this product also removes old mineral deposits and grout smears. 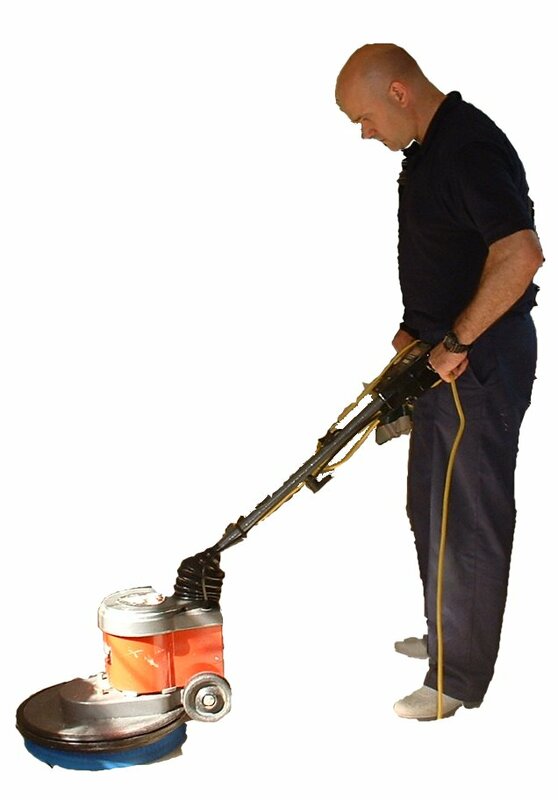 The floor was given a final rinse with water to remove any traces of products used and then as much water and moisture as possible was extracted using a wet vacuum. The floor was then left to dry out for a few days. When I returned my first job was to take multiple readings around the floor using a damp meter to verify the floor was dry and ready for sealing. The extra drying time had done the trick and I was able to seal the floor using multiple coats of Tile Doctor Seal and Go Extra which is a fully breathable sealer that can cope with any potential moisture problems, it also leaves a nice sheen finish that brings the best out of Quarry tiles. In total the restoration took 4 days to complete and had completely restored the Quarry tiled floor close to what they must have looked like back when they were installed nearly a hundred years ago.